It's February again! Guess what that means? Yep. It's our month to celebrate geek love! Join us all of February for our House of Love. 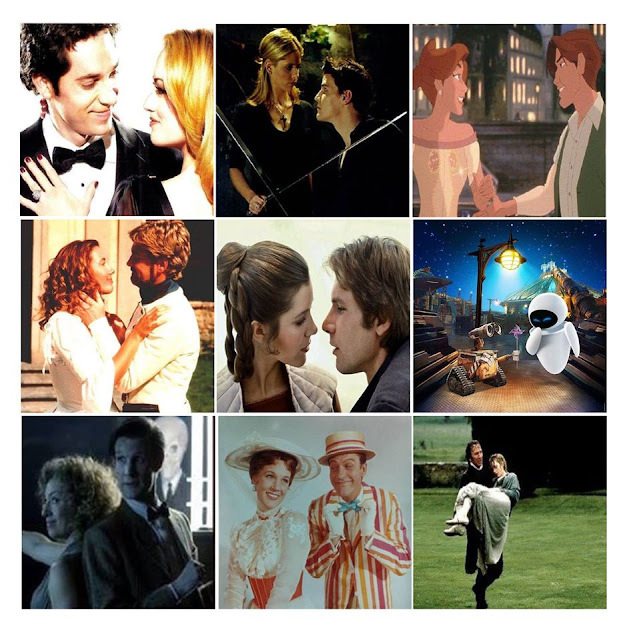 Feel free to jump in and vote anytime this month as we celebrate our favorite fictional couples. Couples were nominated from books, television, movies, etc. 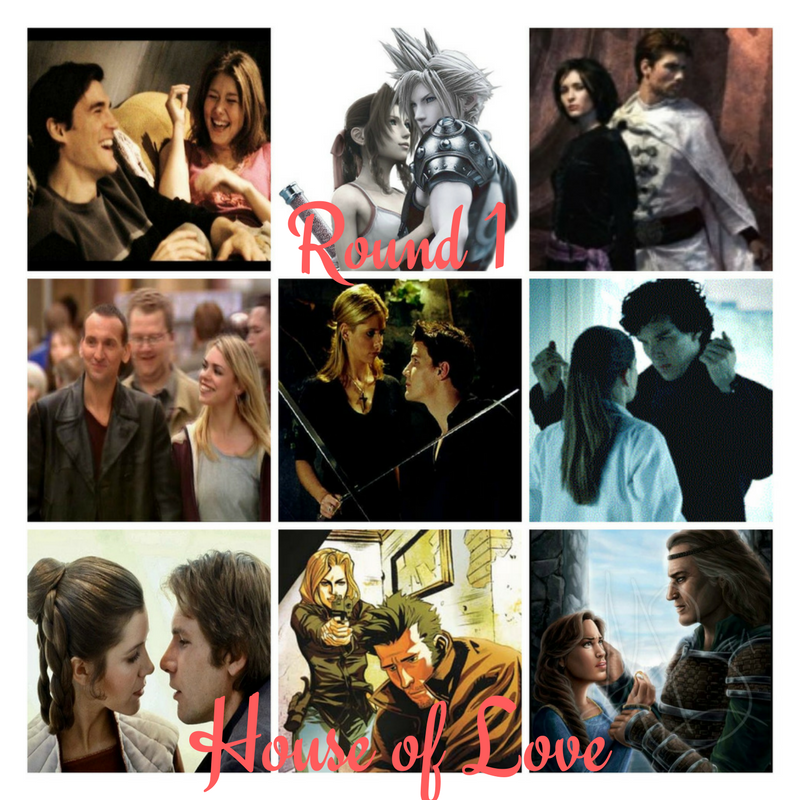 In 2015, you all voted on your favorite fictional couples in six elimination rounds and the finals (see below). The 11th Doctor and River Song won round 1. The end of round 1 pitted the 9th Doctor and Rose vs Mal and Inara. But Mal and Inara were destined to advance to the finals! In a very close round, The Ponds beat out the Firefly crew and advanced. While I had high hopes for Rogue and Gambit, Rose and Ten were our winners. Our 2015 Winners were Zoe and Wash from Firefly! Join us all of February for our House of Love. Feel free to jump in and vote anytime this month as we celebrate our favorite fictional couples!